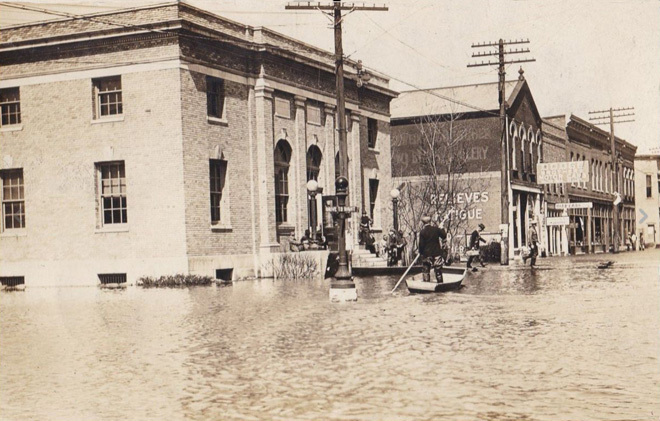 In 1922, Beardstown became another Venice thanks to the Illinois River. 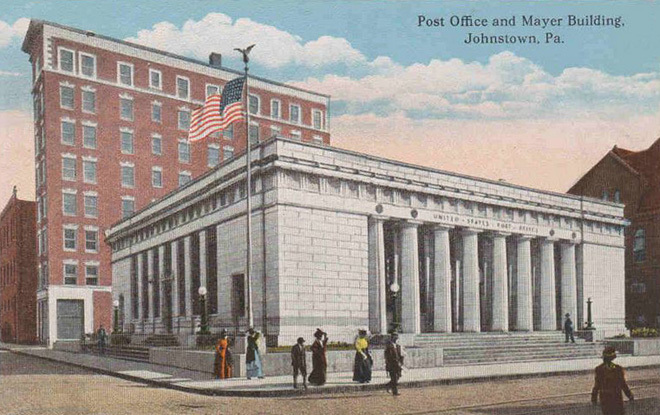 Below, the post office in drier times. 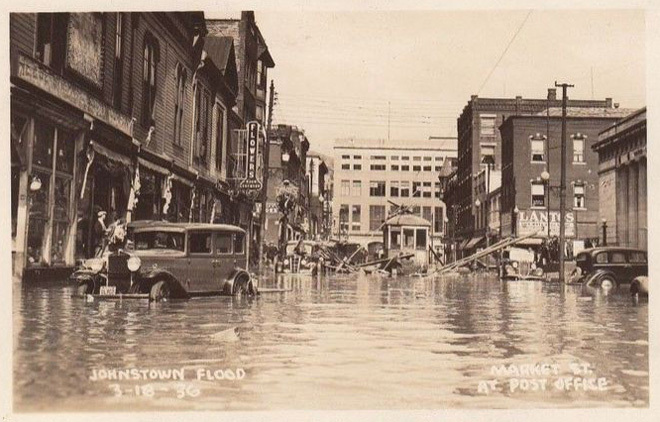 Johnstown, Pennsylvania, has been hit by floods in 1889, 1894, 1907, 1924, 1936 and 1977. “The” Johnstown Flood of legend was in 1889 and took more than 2,200 lives. 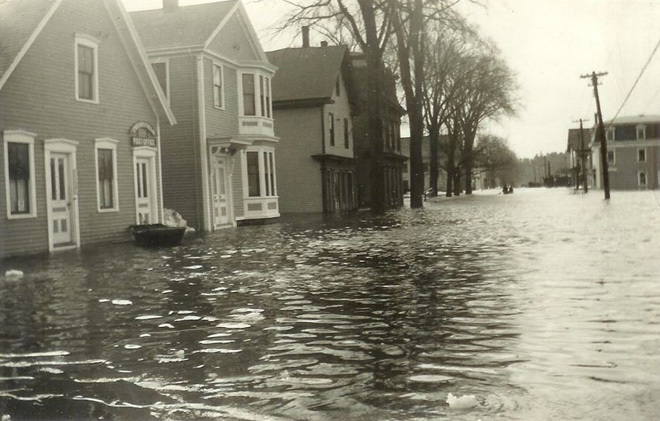 Shown above, on the extreme right-hand side of the postcard, is the post office after the St. Patrick’s Day Flood of March 1936. 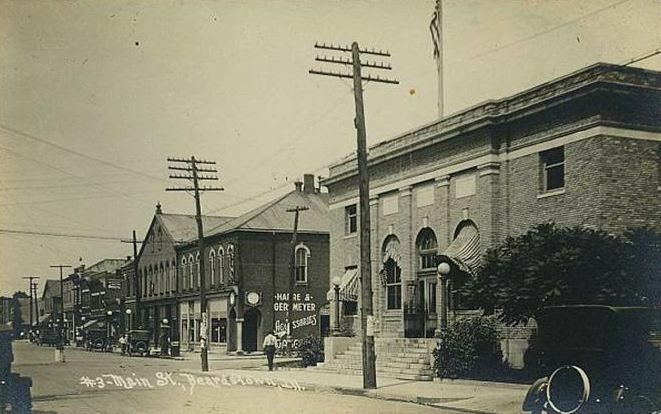 And below, an earlier and more formal image of that post office. 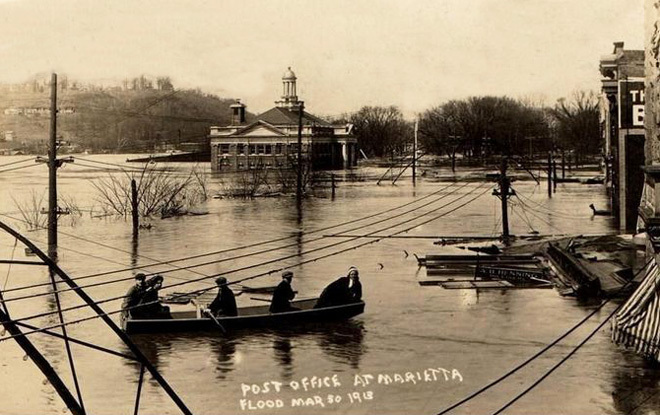 Marietta, Ohio, lies at the confluence of the Ohio and Muskingum Rivers and oft times – in 1790, 1813, 1818, 1832, 1860, 1884, 1913, 1937, 1959, 1964, 2004, 2005 and 2011 to name a few flood years – has welcomed the rivers into its homes and businesses. 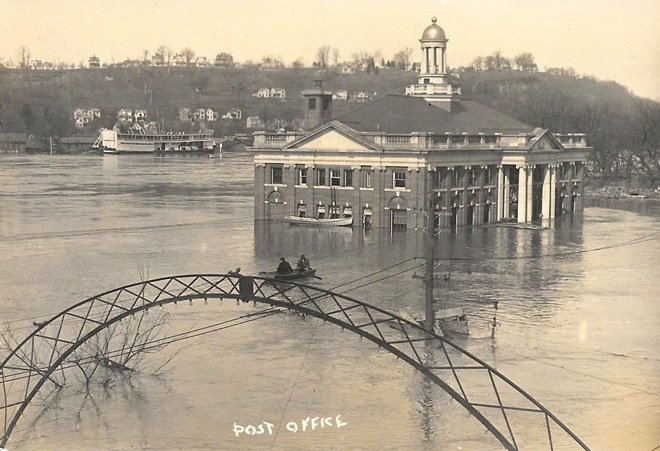 The doozie, most agree, was in March of 1913 when the flood swept 120 houses away, knocked another 200 off their foundations, and the water was eight feet deep in the post office. 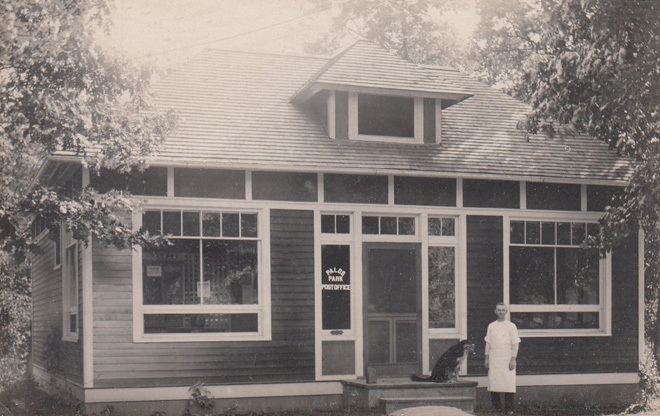 The town of Walkermine (named for the Walker copper mine) had its own post office from 1930 to 1941. At an altitude of 6,500 feet on the side of Mt. 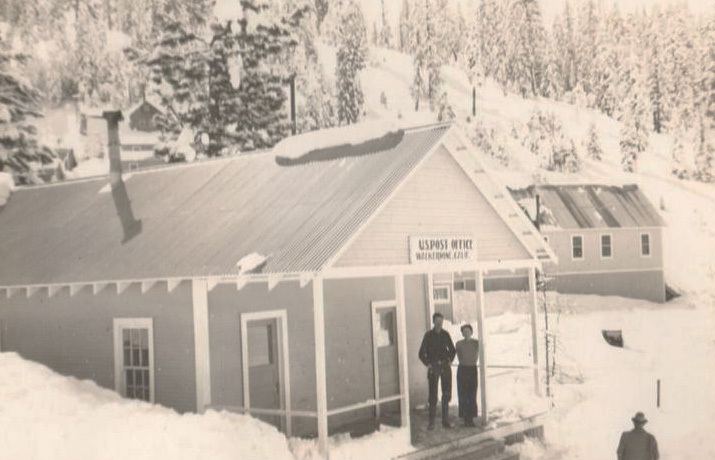 Ingalls, the town got plenty of snow and was essentially cut off from the outside world during the winter months. A nine-mile aerial tramway that carried copper ore in buckets to the railway was used during the winter to transport the mail, food and occasional passengers. After producing $23 million worth of copper ore, the mine was closed in 1941, and Walkermine is today a ghost town with no buildings and only a few foundations showing where the town once stood. 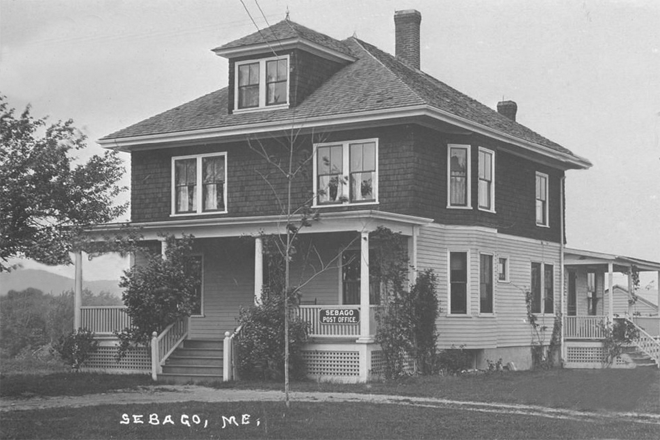 Love the dog on the steps, and being able to see the post office boxes through the window on the left.